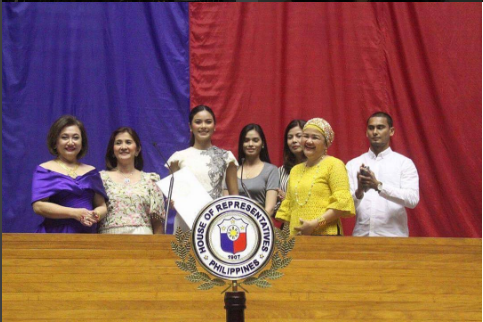 Miss Universe Philippines 2016 Maxine Medina was honored by Congress during the plenary session marking International Women's Day. Medina was presented with Resolution 816 which commended the beauty queen for her performance in the last Miss Universe pageant, where she finished in the Top 6. 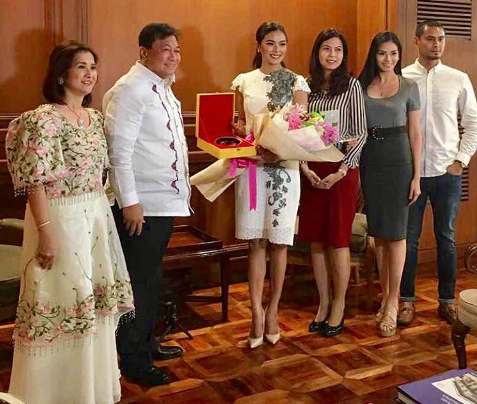 Maxine Medina pays a courtesy call before Speaker Pantaleon Alvarez. With her are her mother, sister Ferica, boyfriend Marx Topacio and Rep. Emmy Calixto-Rubiano who authored the resolution congratulating Maxine.